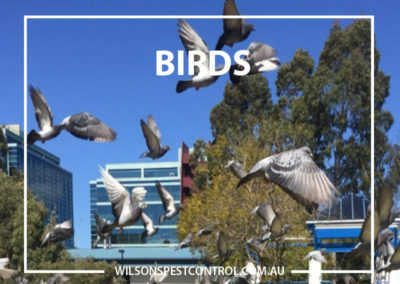 Across Sydney suburbs birds such as pigeons are primarily a problem in commercial venues such as shopping centres, hospitals and hotels etc. 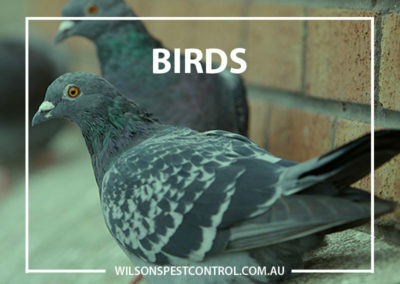 They can also enter homes though chimneys, down pipes, vents, under eaves and roof tiles. 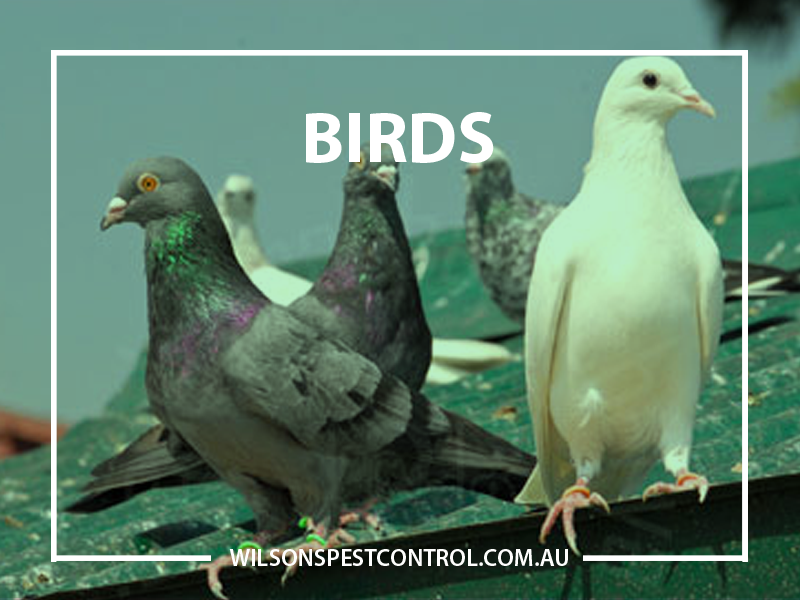 Besides creating a mess and corrosive damage to surfaces through their nasty droppings pigeons can also transmit a serious number of diseases from their droppings. 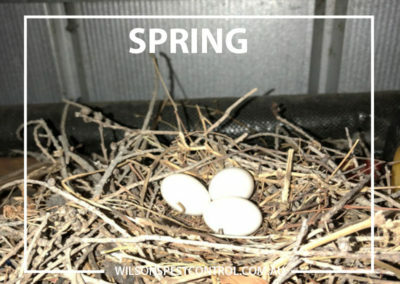 When birds build nests in your home, they also bring with them bird lice (mites) and even worse if the birds get trapped and die, the mites leave the nest in search of a new host, moving through wall cavities and ending up in bedrooms where sleeping humans provide them with a blood feed. 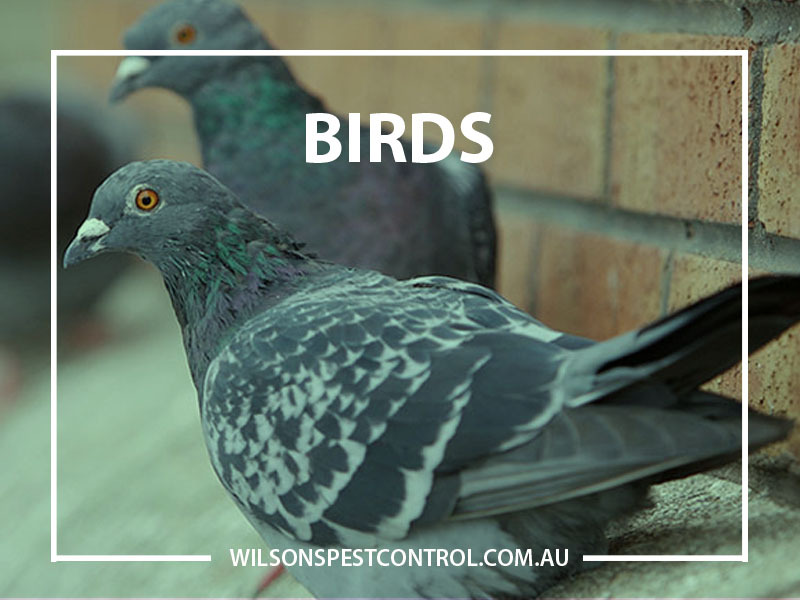 Pigeons in particular are a serious nuisance; taking steps to prevent them from getting entry to your house is often the best for long-term elimination of the problem. 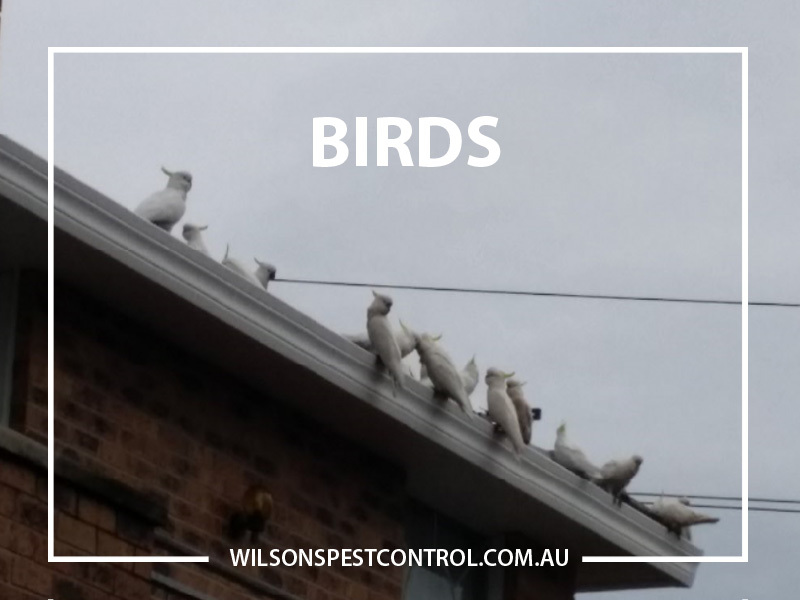 Bird control can involve installing preventative measures such as bird spikes on ledges, bird netting, aluminium plates over gaps as well as fixing broken down pipes etc. 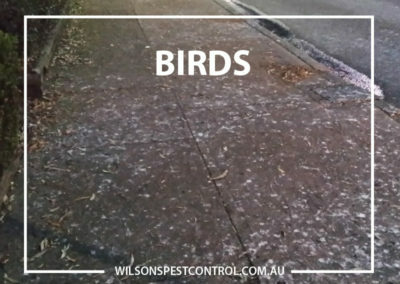 As well, make sure all food such as pet’s food, and water, is not left out to attract pigeons, and destroy any nests. 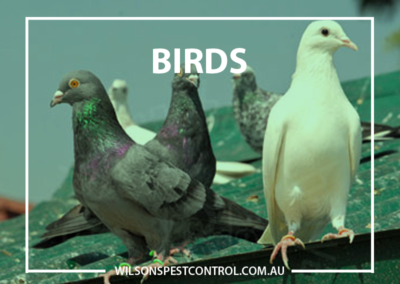 Other solutions involve the use of scare devices and Perspex, which is too slippery for pigeons to land on. 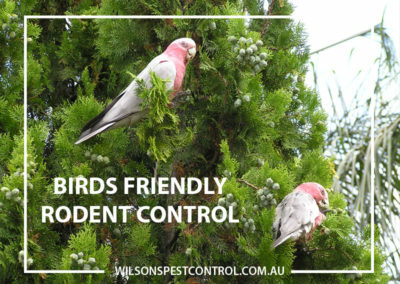 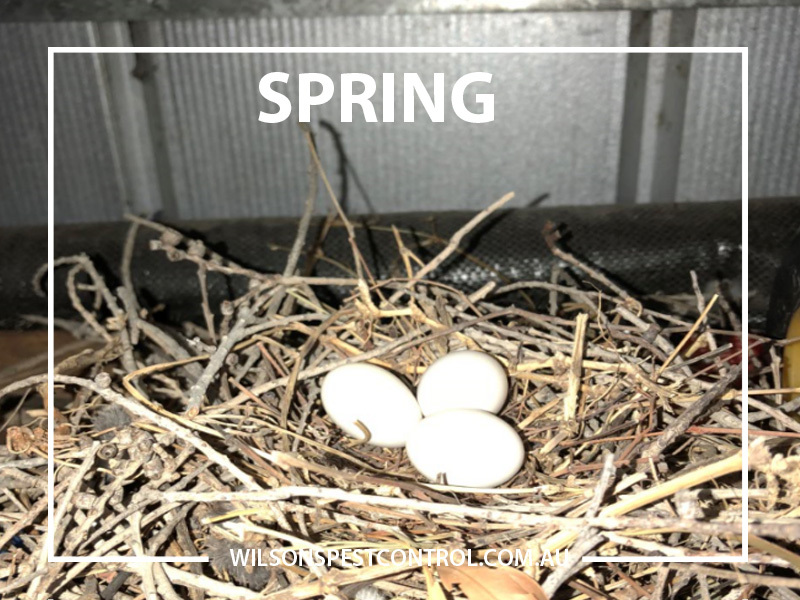 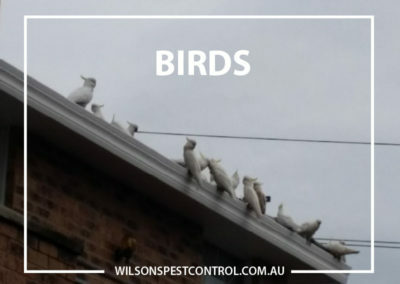 Wilson’s Pest Control can offer a thorough Inspection and advise you on the best and most cost effective option for bird control. 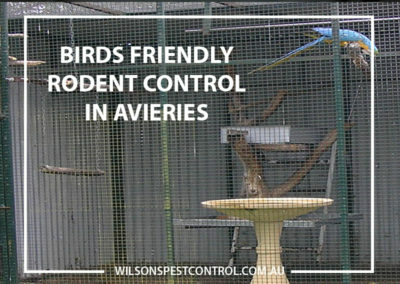 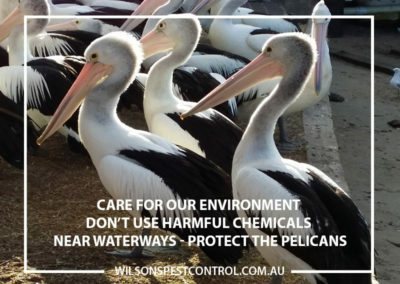 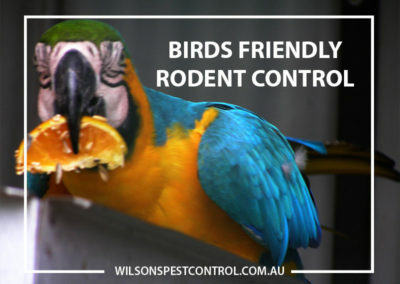 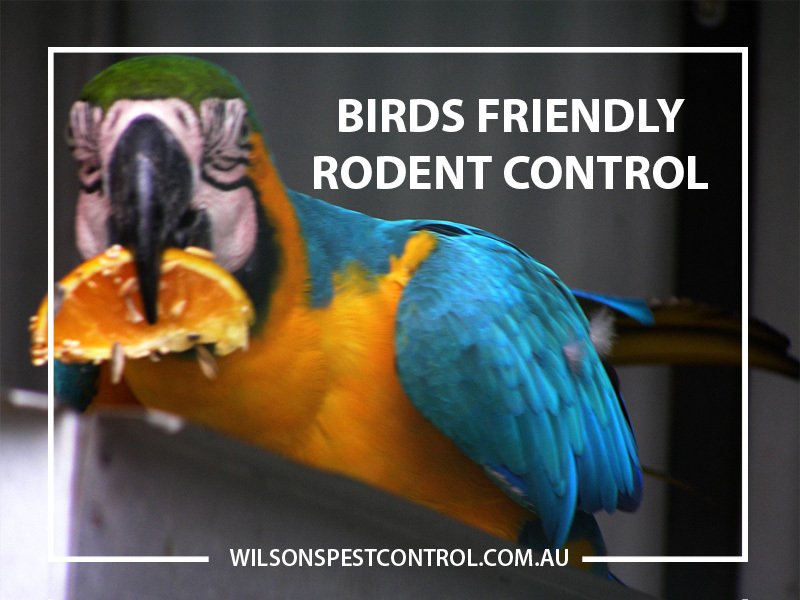 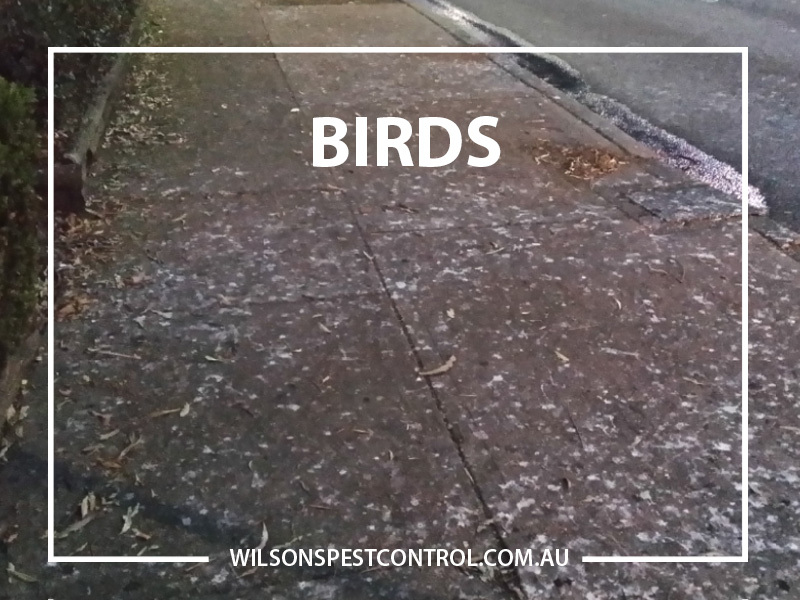 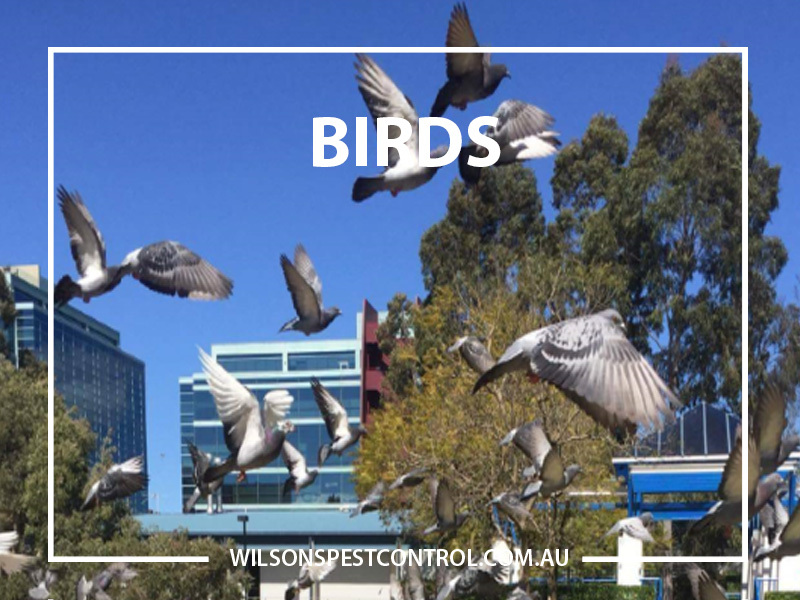 Call Wilson’s Pest Control on 0451 590 398 to discuss our range of bird control solutions.